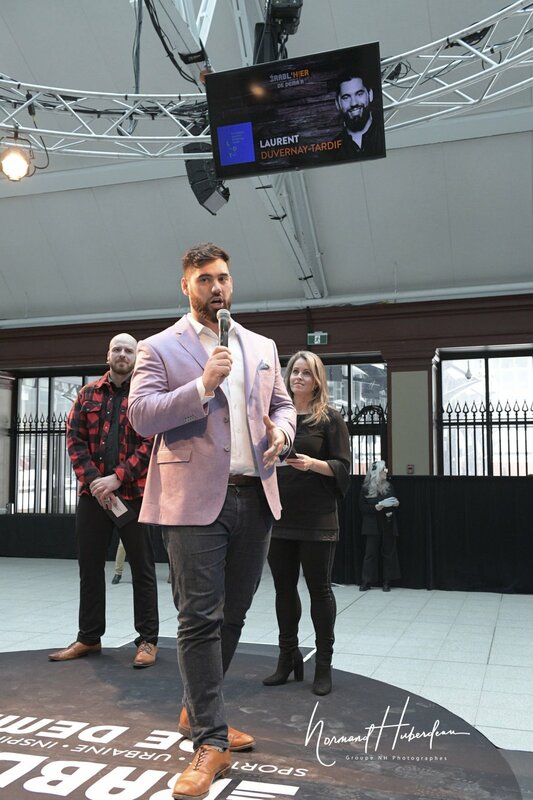 " I am so pleased with this first fundraiser to star tour bursaries," Laurent Duvernay-Tardif said. " I am looking forward to presenting our first ones next year." During the cocktail session prior to the corporate dinner, nine QFAE partners, Aquam, Atrium Innovations, Cadillac Fairview, Corus Media, Bruny Surin Foundation, Gilles Chatel Foundation, Planète Courrier, RNC Media and Samson Groupe Conseil took the opportunity to ward $ 140,000 in bursaries to 40 outstanding student-athletes as part of their respective sponsorship programs.